There Exist Snails in the Deep Sea That Have Shells Made of Iron! The recently named Chrysomallon squamiferum is a snail that resides several thousands of feet underwater, like several other snails. However, this snail, also called the scaly-foot snail or scaly-foot gastropod, is quite unlike its other gastropod counterparts. For one, it lives 2,500 meters under the Indian Ocean, comfortably living in deep-sea hydrothermal vents – underwater “hot springs” that are fuelled by geological activity – just beside black smokers that belch out superheated water with temperatures approaching 350 C and is highly acidic, containing various metals along with hydrogen sulphide. The second reason why its difference is so remarkable has everything to do with its scaly armour which, along with the shell, are mineralised by iron sulphide; you got that right: these snails make a skeleton out of iron sulphide, and they are the only animals found to be doing that. The hydrogen sulphide that spills out of the hydrothermal vents can prove to be highly toxic for several organisms. 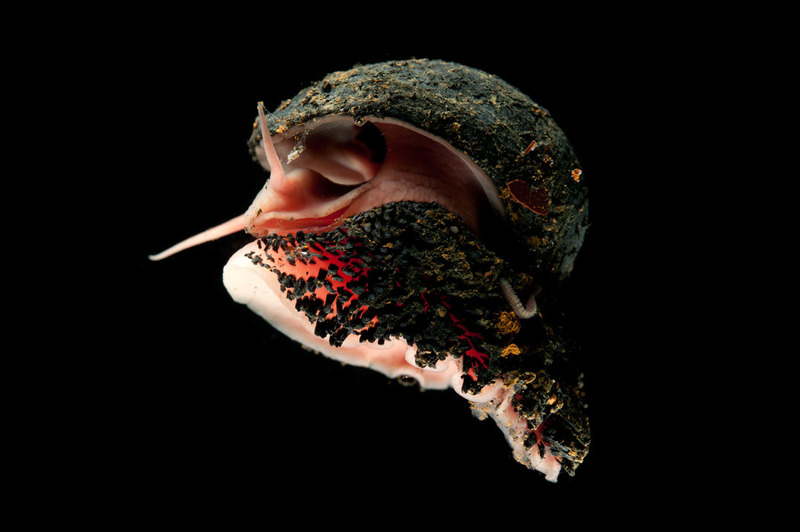 Despite these high levels of toxicity of, some bacteria manage to generate energy out of it – a process called chemosynthesis, and this is what certain organisms have thrived on throughout the ages, therefore adapting to this otherwise toxic environment, and much like these other organisms, the scaly-foot snail does the exact same thing: it houses endosymbiotic bacteria (bacteria that live inside other organisms, resulting in mutual benefit) in its gut – causing food to be synthesised inside the snail’s body, without the snail even having to feed! 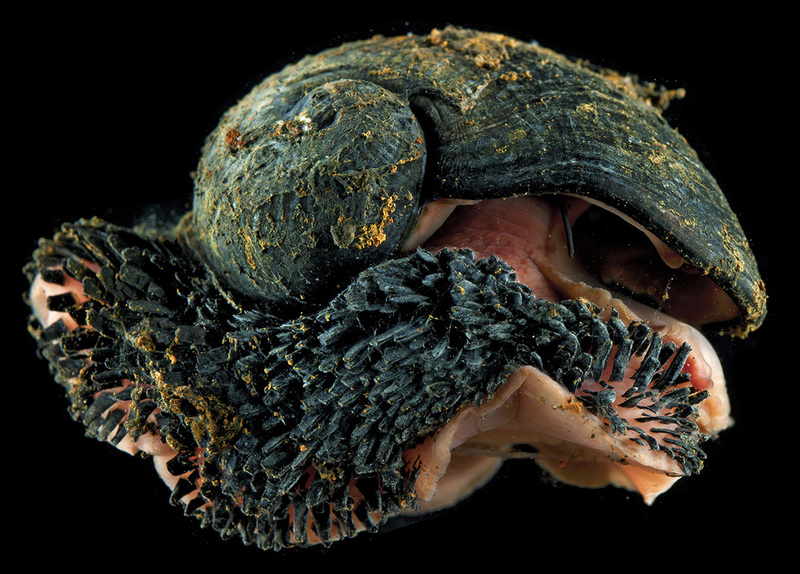 First discovered in the Kairei vent field in the Indian Ocean, these gastropods also differ from others in the family in that it possesses mineralised components not only in its shell, but also in the hard parts of its foot, thus earning it the name of “the scaly-foot snail”. Other gastropods do not have scaled structures on their feet, except perhaps, the operculum, which is the “trapdoor” which acts as a kind of lid when the animal retreats into its shell; the scaly-foot snail, on the other hand, is endowed with thousands of scales on its foot. The shells and the scales of this underwater snail are covered by a layer of iron compound, mainly pyrite and greigite. The latter of these two is a magnetic compound, and owing to this, the animal does, in fact, stick to magnets. However, the shells of these gastropods are not totally rigid; they are strong, yes, but also pliable. This is owing to its constitution of three layers, the first of which is the iron plating that provides strength to the shell, the second a thick, organic compound which works as a shock absorbent, which is followed by a final layer of calcified material. This animal, which is so generously endowed with scales, seems to have developed them either as a means of protection or a means of detoxification. Either way, its numerous scales and its iron constituents make it stand apart from other members of its family. Previous article You Might Know About Him, But We’re Sure You Do Not Know These 10 Facts About Justin Bieber! Next article These 12 Unsolved Mysteries Will Have Chills Running Down Your Spine! These 12 Unsolved Mysteries Will Have Chills Running Down Your Spine!